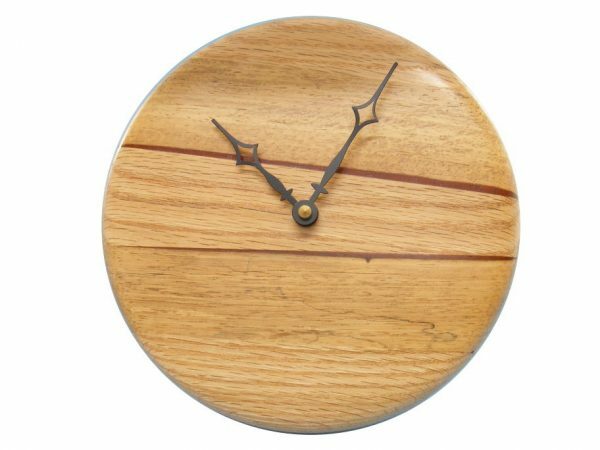 This Modern Wood Wall Clock is made by laminating paduak (heart and sap woods) and oak wood, and then turning it round on a lathe. 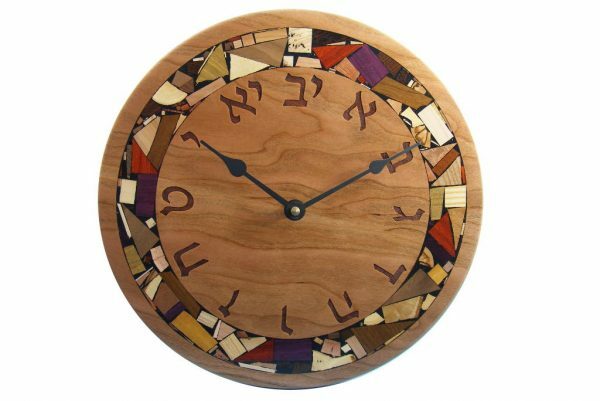 The woods are left in their natural colors with no stains or dyes used. Finished with clear polyurethane. Clean and sleek lines. Makes a great housewarming gift. The clock runs on a battery-operated quartz movement running on a “A” battery, battery not supplied. Easy installation, just one nail or screw is needed.